Unlimited visibility, beautiful wildlife and an unforgettable experience in the house of the mouse! Adventure Outfitters has booked a private group tour to celebrate May the 4th be with you! 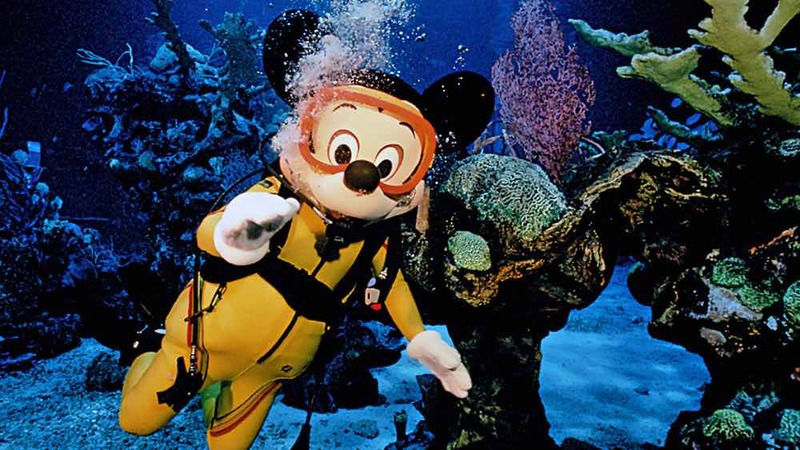 Join us on May the 4th for the Epcot DiveQuest Experience. The Epcot DiveQuest Experience is a Caribbean reef experience in Disney’s 5.7-million-gallon saltwater aquarium with more than 6,000 creatures including turtles, angelfish, dolphins, eagle rays and sharks. 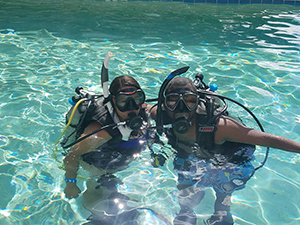 The DiveQuest Experience includes a behind the scenes to tour the facility, an approximately 45-minute to 1-hour dive with unlimited access to the aquarium. 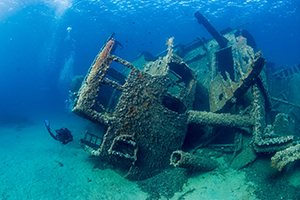 All Guests must be SCUBA-certified and 10 years of age or older to participate. Guests 10 to 12 years of age must be accompanied by a paying adult (18 years of age or older). You will need to provide proof of certification, such as a C-card or verification from a certifying agency. All diving equipment is provided. Personal diving equipment is not permitted, though you may bring your own dive mask. Please bring a swimsuit. No cameras, video equipment or cell phones may be used while backstage. Photography is allowed and encouraged in non-backstage areas. No jewelry of any kind other than a watch is allowed in the aquarium. Family and friends are allowed to view divers through any of the 56 giant acrylic windows at The Seas with Nemo & Friends! The best location for friends and family to view your dive is from the upstairs viewport in the tunnel of the Living Seas Pavilion, approximately one hour after your tour begins. Park admission is required for Guests wishing to view divers. Friends or family members are not allowed behind the scenes for this tour. If you wish to enter the park afterwards, you must purchase park entry. Parking is not included. Spots are limited and will sell out fast! 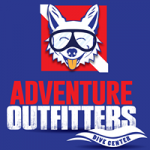 To sign up, please contact Adventure Outfitters at 813-832-6669 or email us at info@adventuretampa.com. No refunds will be rewarded for this particular dive.